Hey everyone, it’s Dwayne again! It’s now the third week of school and assignments are piling up slowly as the days go by. Amidst the chaos and pressure from school work, as a member of the Team Surrey’s tennis team, I always make time to attend the training sessions and matches. I am playing competitively for the Men’s 3rd team and my experience with the tennis team has been incredible so far! Modelling for the new club t-shirt! Joining the tennis team is probably the best choice I have made since coming to Surrey. I have been a big tennis fanatic since I first started playing 12 years ago, having played for Temasek Polytechnic as well. Commitment levels are high with training conducted every Monday, Tuesday and Thursday night. Wednesdays are specially reserved for competitive matches throughout all universities in the United Kingdom as part of the British Universities & Colleges Sport (BUCS) League. First match at home, nerve-wrecking stuff! 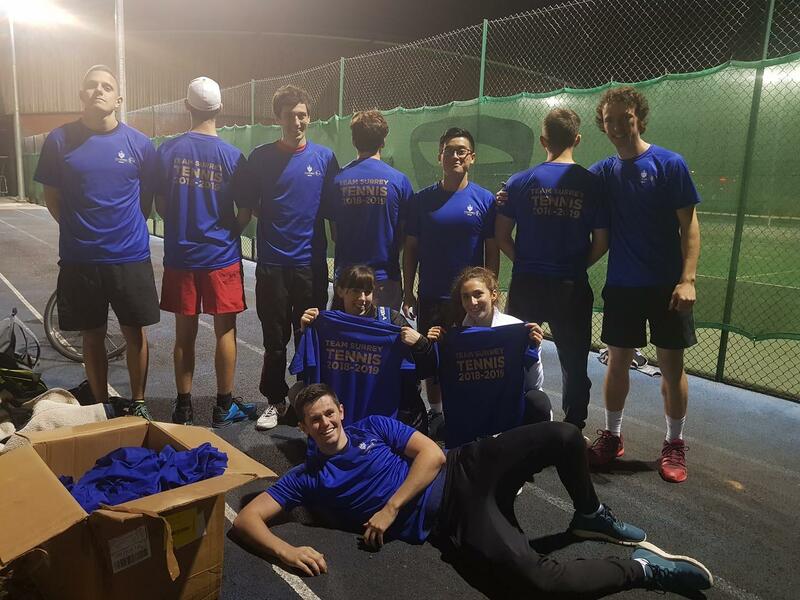 Unlike the typical Inter-Varsity Competitions in Singaporean universities which are completed within 2-3 weeks, the BUCS League spans over the entire duration of the academic year. Matches are scheduled on Wednesdays and universities within a league will compete against each other in the format of home and away matches. I personally love playing away at other universities as I get to have a peek on what student life is like for other schools! 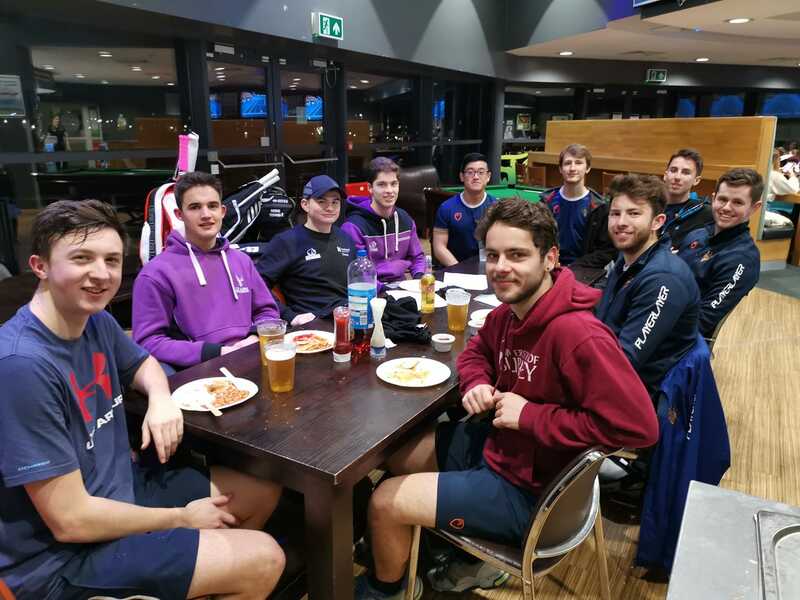 Also, after hosting matches at home, be it a win or loss, our team would always invite the travelling team that day for a drink at the Surrey Sports Park’s bar in good spirits and sportsmanship. 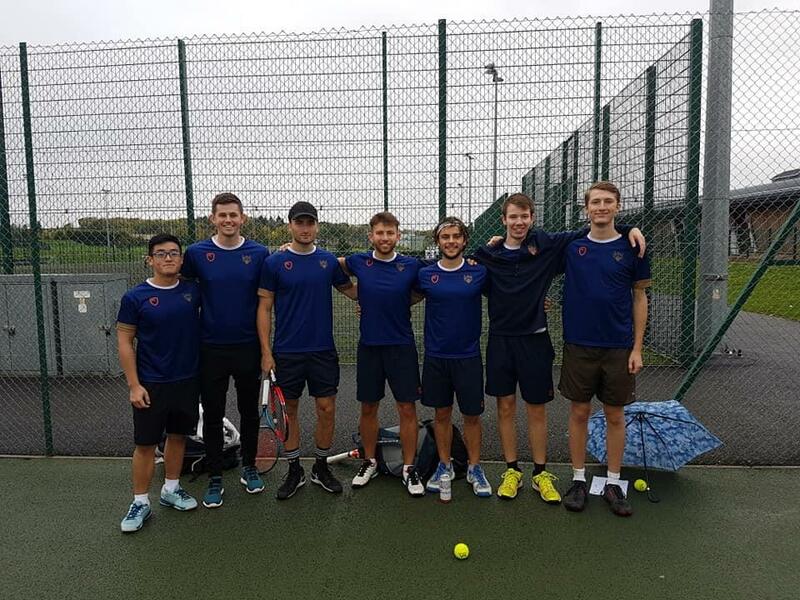 Currently, the Men’s 3rd Team is playing in the BUCS Tennis South Eastern 4A League and we are definitely aiming for a top 2 finish with 3 matches left to play! The BUCS League is structured in a way that caters to all different levels of play for all sports which gives an amazing opportunity for everyone to train hard and compete. With Team Surrey comprising of 42 sports clubs ranging from Lacrosse to Mountaineering, there is a sport for anyone and everyone regardless of ability levels. Social sport sessions are also available for people who would like to try out new sports and make friends! I highly recommend all students to join a sport not only to keep fit and de-stress, but also as an opportunity to expand your social network! That’s all I have for my experience with Team Surrey for today! Stay posted for future updates about the end of the 2018/2019 BUCS season and Varsity 2019 where Team Surrey takes on their long-standing rivals Royal Holloway in 2 days of intense competition!